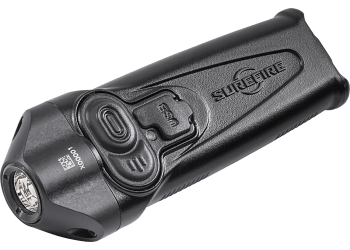 The brand new Surefire Stiletto (PLR-A) 650/200/5 lumen (1,800 candela) variable output pocket light. 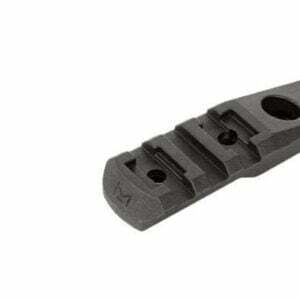 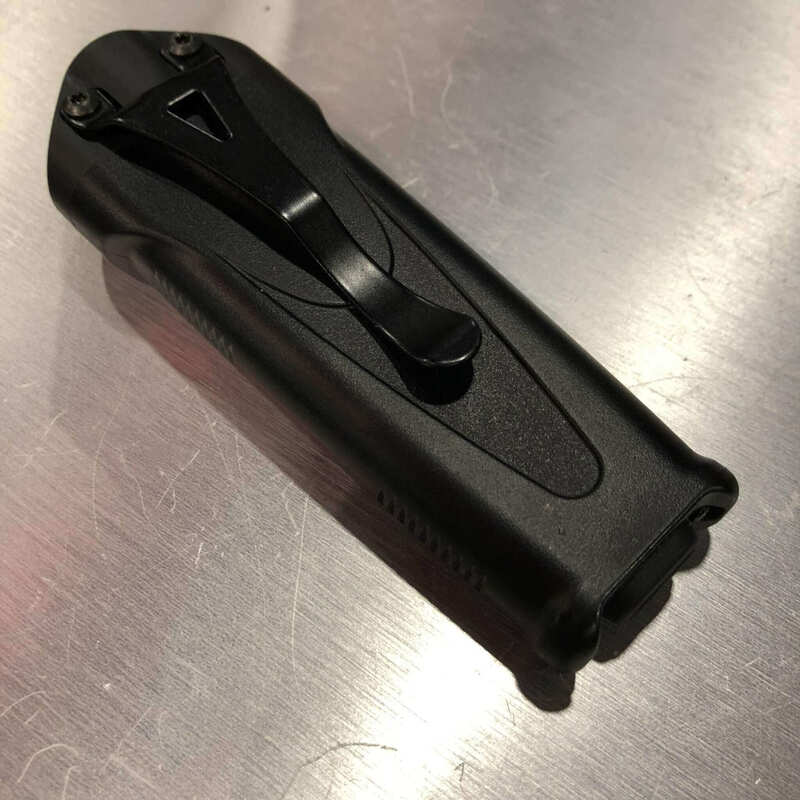 It features different programmable settings including a strobe feature.Designed to have the same carry profile as a folding knife, the Stiletto tucks easily into a pocket and offers two options for activation. 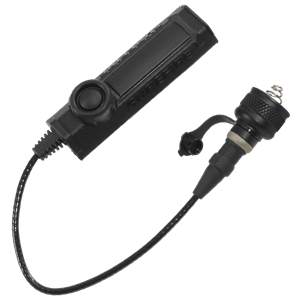 The front body switch activates a wide 650-lumen, medium 200-lumen, or a dialed down 5-lumen beam for tasks using a MaxVision reflector. 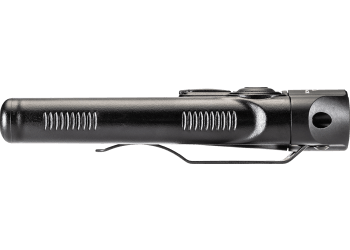 The rear switch activates high-only output for tactical use and has an optional high-frequency strobe (which can be disabled if desired).